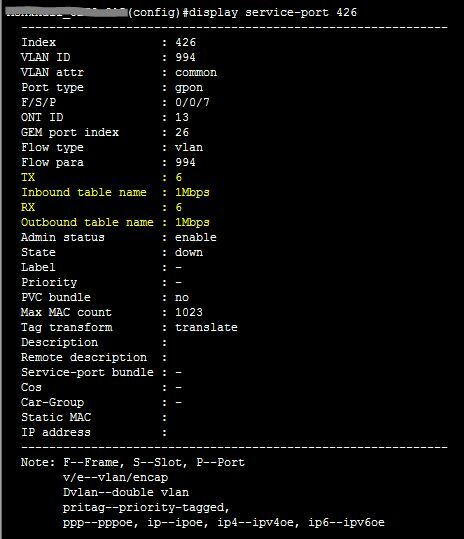 How to Change Huawei ONT Bandwidth in a service port ? 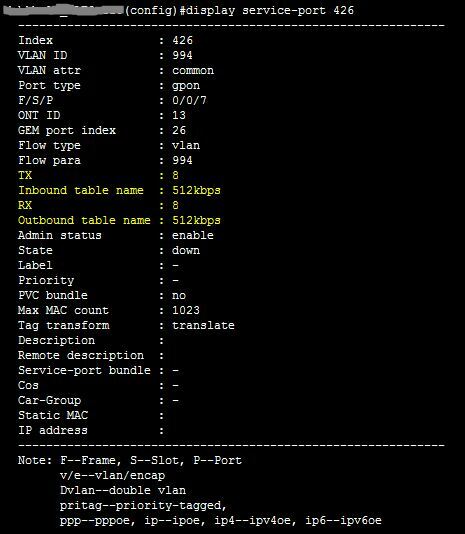 Today i will show you how to Huawei ONT Bandwidth configure. If you want to increase/decrease BW a specific client/ONT user then you can easily do it by Traffic table. 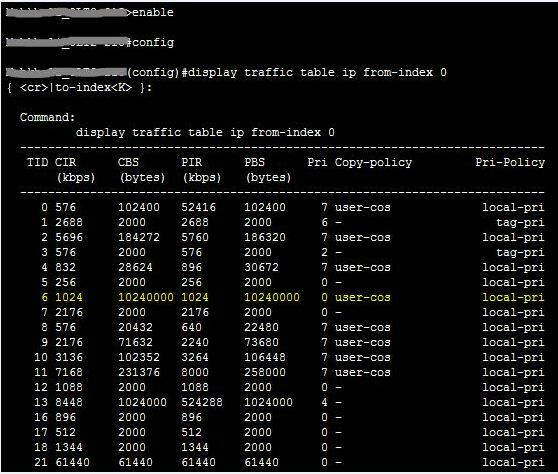 At first login your OLT, then show traffic table index number from your traffic table by bellow command…..
From traffic table we found TID 6 is configured 1 Mbps traffic policy, which we make before. Now we apply it in a service port 426 that is 512 Kbps assigned now. Now we apply bellow command. Here we found yellow marked area changed & assign 1Mbps BW. hello, I tried switching to different index, the download speed change but the upload change remain the same. why is that? i set them both inbound and outbound on the same index. I have a problem with my OLT a think the problem is in the dba-profile. When I try to connect using U2000 a new ONT give me an error (the bandwith is inneficient).